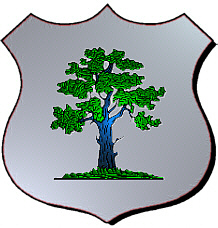 A silver shield on which there is a green oak tree. 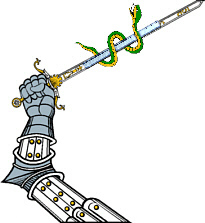 An arm in armour holding a sword with a snake wrapped around it. 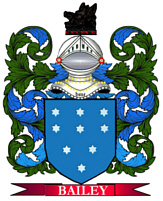 Motto: O Dhia gach an cabhair. 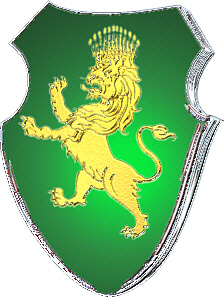 A green shield with a gold lion rampant crowned. 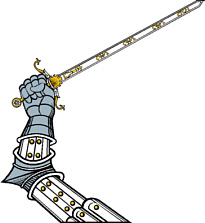 An arm in armour holding a sword.